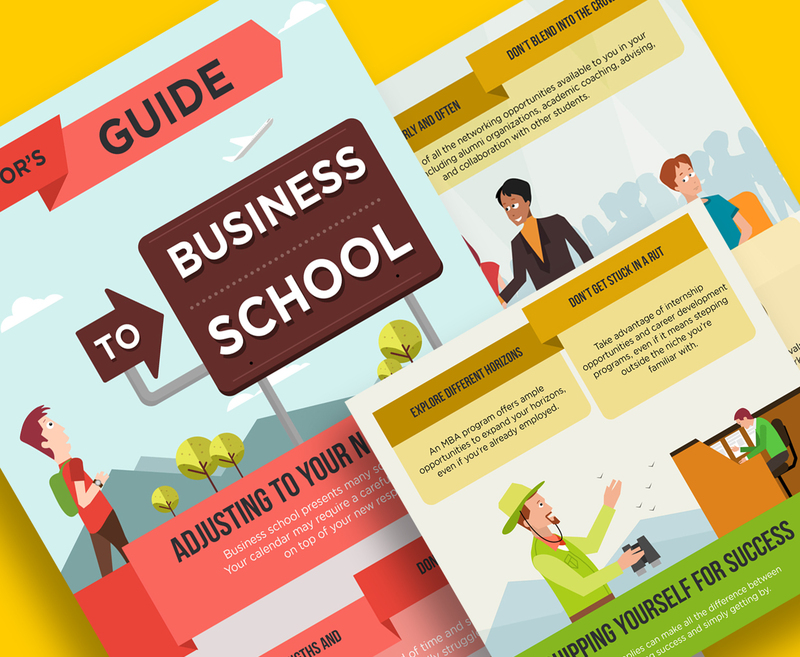 We had much fun designing this piece, since some members of our team related it to their days in business school. We have created another generic character to help as a visually relatable element. A student making his way through all of the different points highlighted throughout the infographic.